RainStorm worked with the Chamber to create a new, mobile-friendly website that would see the chamber well into the future and serve its busy members and the general public alike. One of the strengths of the site is the way in which the build leveraged various taxonomies in the WordPress system. Given how powerful WordPress is, we’re able to use the engine to drive different parts of the layout around the site in a way that’s easy for the content curators to manage. 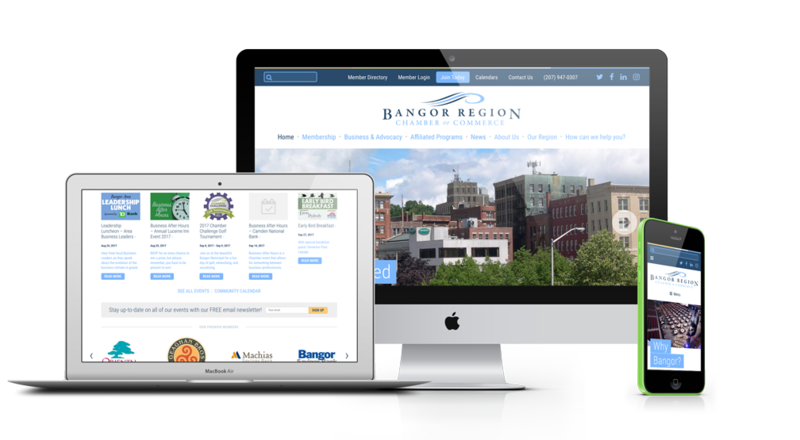 The site launch corresponded with the grand opening of the Bangor Chamber’s new physical home and we are sure that the Chamber will find joy in both their virtual and real-world homes for many years to come!